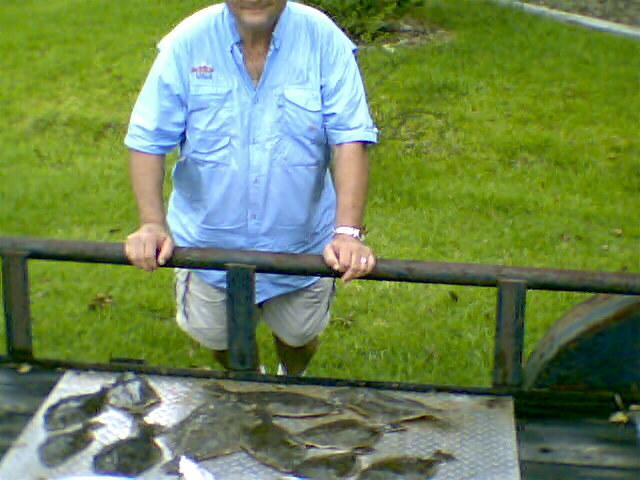 August 14,2008 Dan W. on his second trip to Big Lake with Captain This Year brought his friend Joel from Houston to fill the cooler with Nice Trout all on Gulp Shrimp on a 3/8 oz jig in deeper water. It took some work on the Captains part to get on the fish. 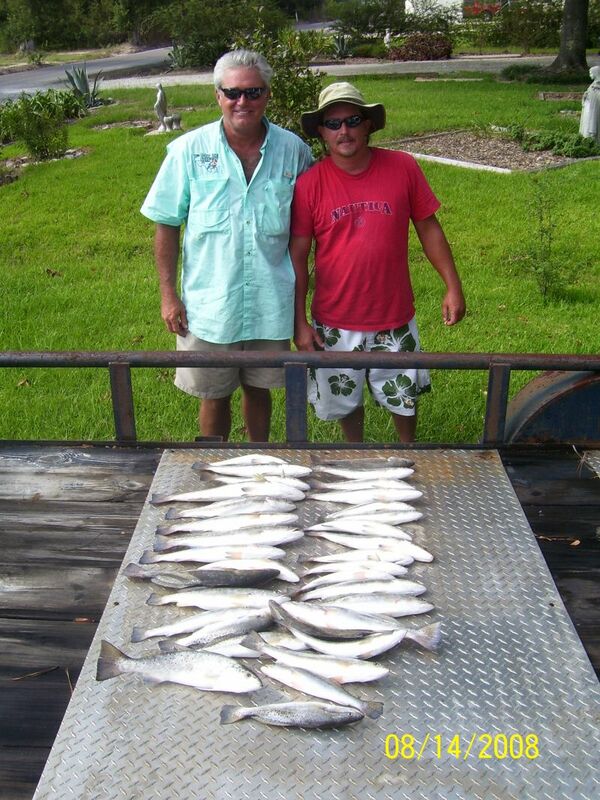 At about 10 am we only had 2 keepers but we finally hit the motherload and had 35 in the boat at 2:30 pm when we had to leave them biting. August 12,2008 Captain Tom Takes a Vacation (No Fishing for 2 Weeks) Will He Survive???? August 8,2008 George G. of Houston Makes His 4th Trip this year. 8/8/08, Was George G’s Lucky numbers. We started slow but after a few moves found hungry trout and flounder. Gulp Shrimp on a 1/4 oz jig did the trick. 8/7/2008 This was Jodie’s 3rd trip and it was the charm. 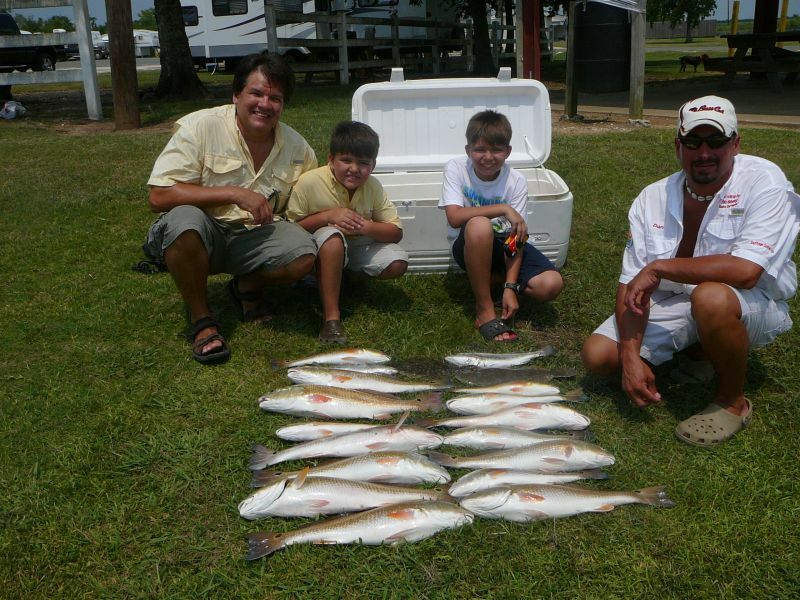 He brought his Father and 2 sons for a day to remember with Captain Tom catching over 50 Specks on Live shrimp and Gulp. The weather was perfect and the fish were hungry. Another Great Family outing on Big Lake. 8/1/2008 Mark J. & Sons David and James, & Friend Dan Get the Reds OUT!!!! August 1,2008 Mark J. 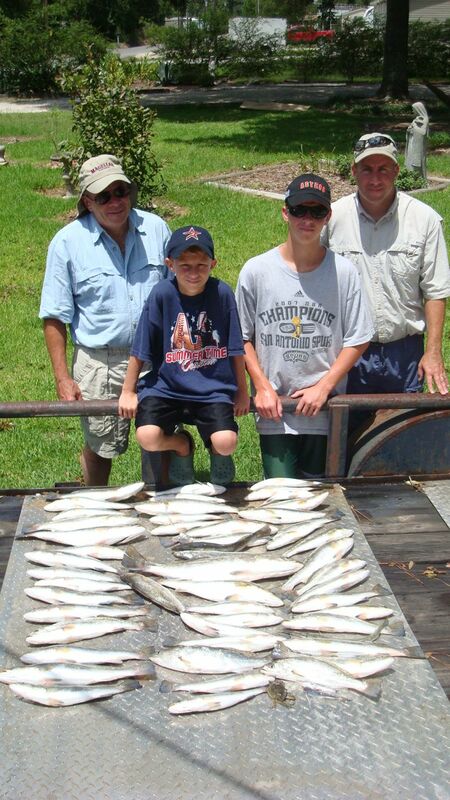 & sons David and James join Captain Tom for their third fishing trip to Lake Calcasieu and see Red (Fish that is !!!) Also their bass fishing friend Dan joined them and was impressed by how strong Reds are compared to bass. 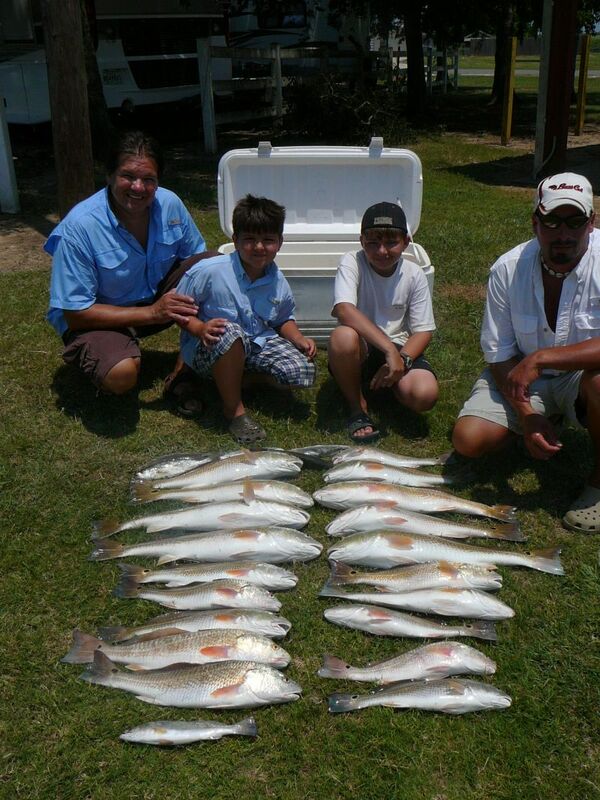 With good high tides the Reds have started to move into the marsh and live shrimp was the ticket . Mark stayed with New Penny Gulp and landed several on artificial.